Mrs. Loretta Kay Maggard, 61 of Berea Kentucky formerly of Streator, passed from this life on Tuesday, March 19, 2019 at Lake Cumberland Regional Medical Center in Somerset. She was born in Streator, IL on November 13, 1957 the daughter of Carl K. and Bernice Sibert Holt. She was a retired sewing machine operator for Creative Drapery and was of the Pentecostal Faith. 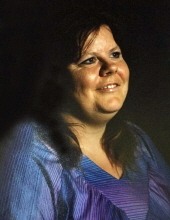 She is survived by her husband, Henry Lee Maggard of Lancaster; two step-daughters, Teresa Saylor and Sherry Spicer and husband Joe; two brothers, Kenneth Holt and wife Mary, and Henry J. Holt; four step-grandchildren, Monica West, Brandon Koon, Spud Saylor, and Brittany Graham; and six step-great grandchildren, Elijah West, Mason Rawlings, Hailey Perry, Katlynn Perry, Kaylynn Perry, and Lynn Myers. Two nieces also survive. She was preceded in death by a step-son, Roger Saylor. Cremation rites have been accorded. The Hagi & Baker Funeral Home is in charge of local arrangements.